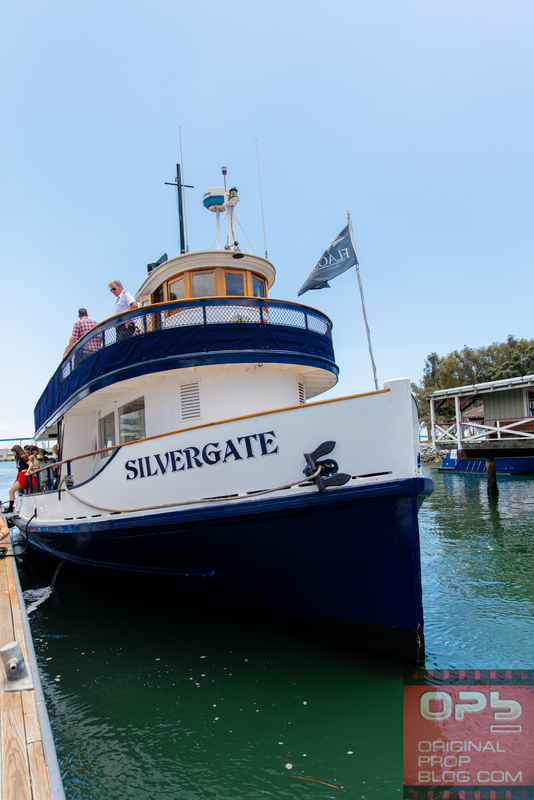 I have been going to San Diego Comic Con (AKA Comic-Con International) since 1987, when I was 14 years old, but have until this year always stayed in Downtown San Diego apart from one time I stayed at Humphrey’s By The Bay on Shelter Island. Planning my travel and accommodations for 2015 was actually the first time that not only did I not get my first choice with the Travel Planners “lottery” style system for reservations and special rates for booking rooms, I did not get any room with them at all. 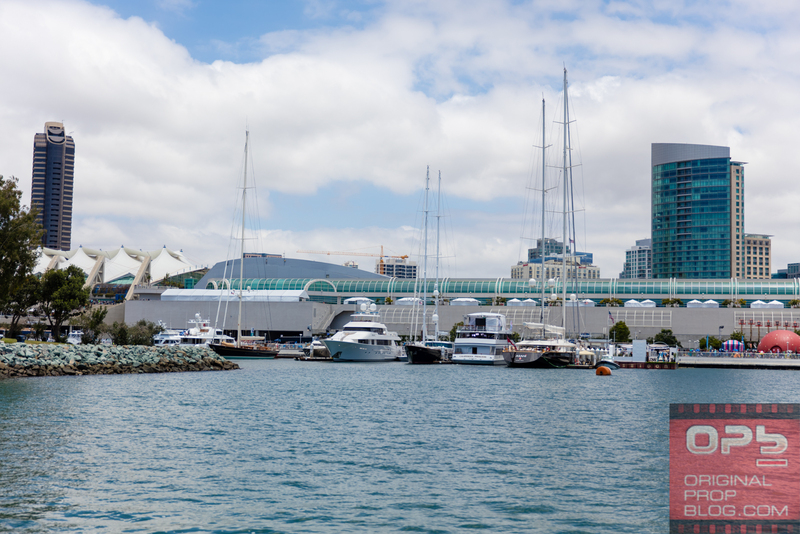 As registered press, it has always been convenient for me to stay at the adjacent San Diego Marriott Marquis & Marina, which is where I’ve stayed in the previous four years. With not a lot of options, I ended up booking a room at the Loews Coronado Bay Resort on Coronado Island (see my review here). 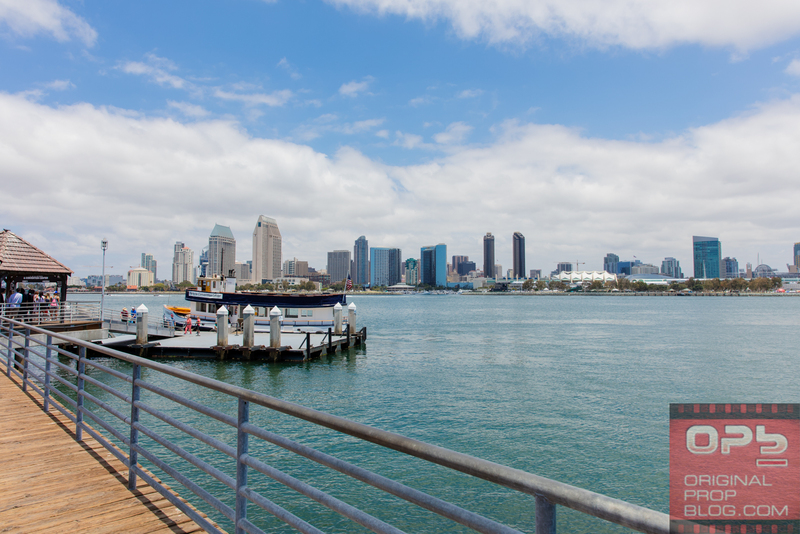 While I was disappointed with the service of the hotel, and the distance to Ferry Landing (which offers a short five minute boat ride directly from Coronado Island to the Convention Center), I did find that not only is staying on Coronado feasible, but there are some significant benefits as well. So I thought I would share my findings with those who might consider staying on Coronado in future years. I thought I’d never been to Coronado Island before, but my mom swears we went there when I was a kid and visited Hotel del Coronado (which I just revisited – amazing place!). 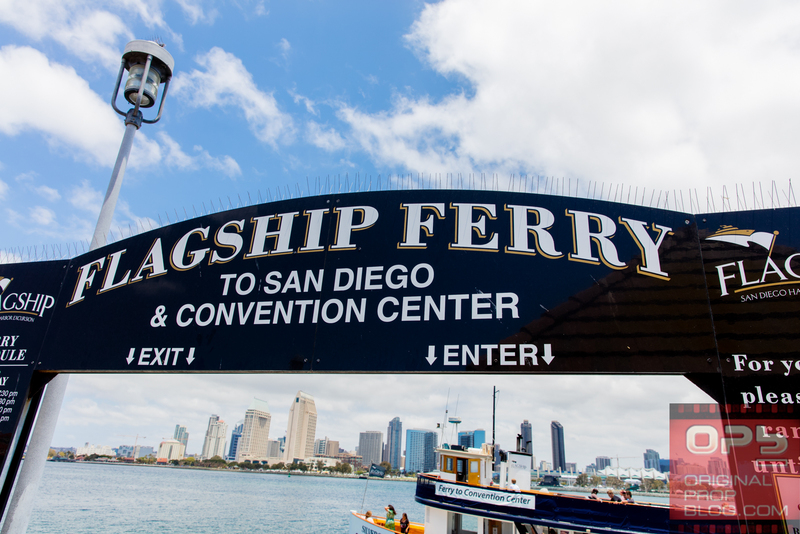 If you’ve ever been to Comic Con or the San Diego Convention Center and gone out the back entrance to the sidewalk that runs along the bay (with the Hilton Bayfront to the left and the Marriott Marquis and, further, Seaport Village to the right), it is the bridge you see going across to the little island across the bay. However, it is not as small as you might think… once I got there, I realized how massive it is, with a mix of residential, retail, hotel/resort/condo, and military. I also found that the layout, in terms of cars and transportation, is really haphazard. I had set my GPS to take me to Loews Coronado Bay Resort, and it takes you into the island, then has you do a 180 and come back where you came, all the while instructing you to go down residential streets with signs noting restricted hours (and local police actively giving tickets for such breaches). 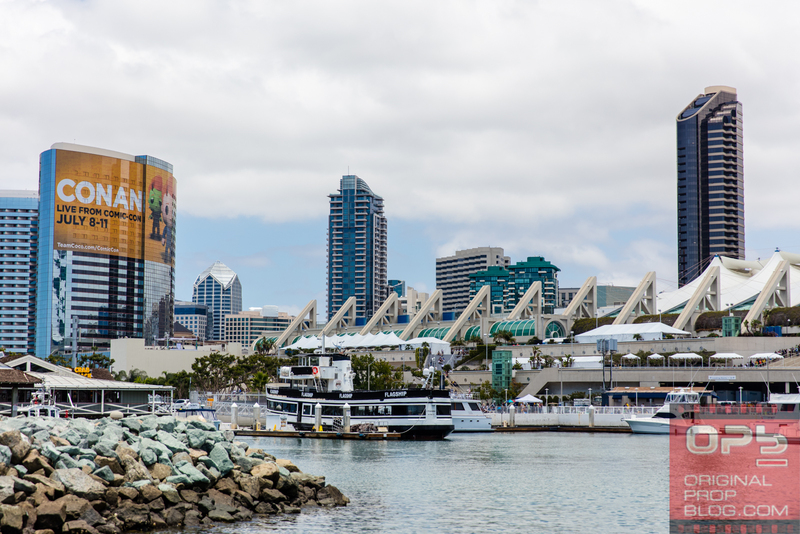 As of 2015, Comic-Con does NOT support Coronado with their free shuttle service, so from San Diego International Airport you either need to cab it to your hotel, use the hotel’s shuttle service (if they have one), or rent a car. 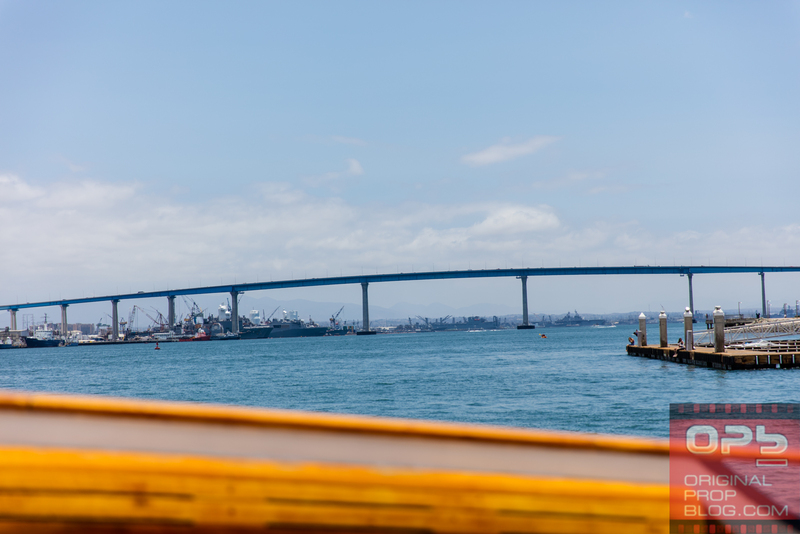 I ended up renting a car, and I’m glad that I did as there is a lot to do and see in and around Coronado that is most definitely not walkable. 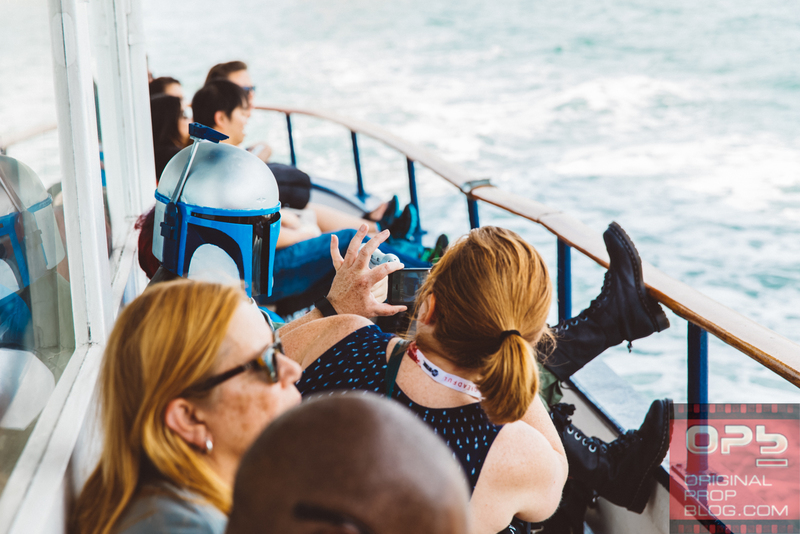 But if you are going strictly for Comic Con, it might be more economical to rely on shuttles and what not. 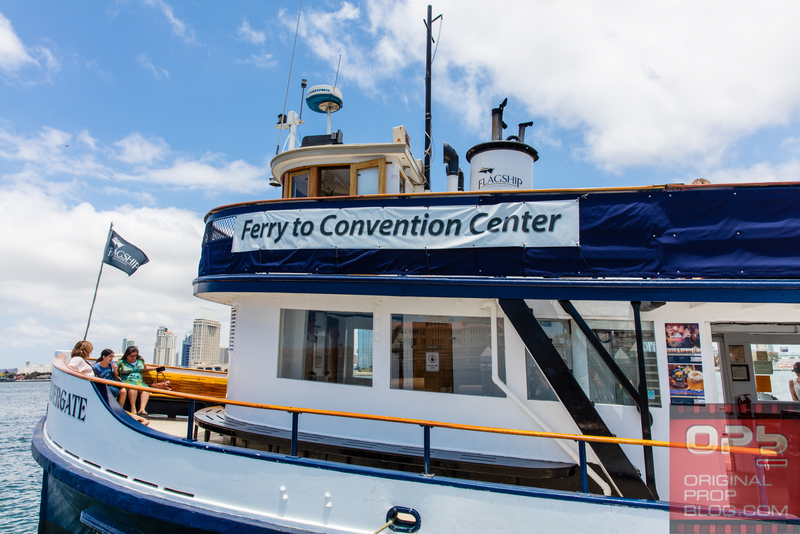 So when I booked my stay on Coronado for Comic-Con, I did not find much information online about “The Ferry” and specifics about how reliable and/or crowded it can get with Comic-Con going on. 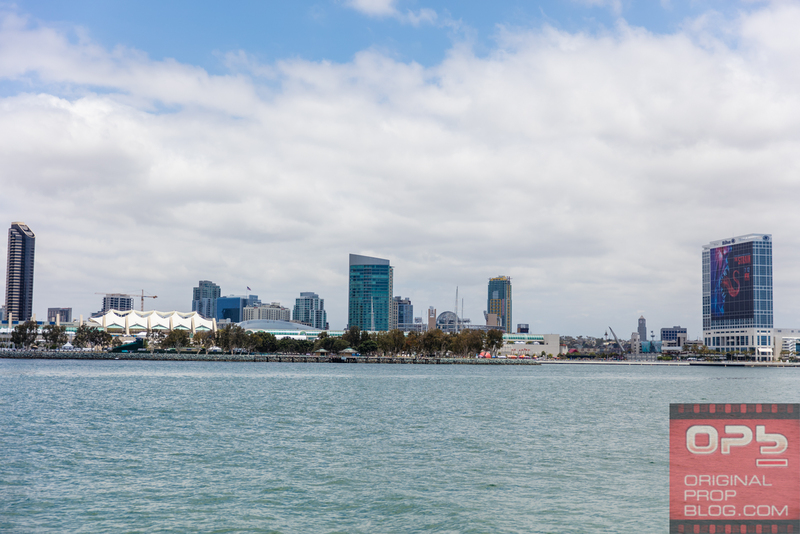 One mistake I made was my assumption that Coronado is a small little speck of an island – it is not – it’s really quite a massive city. 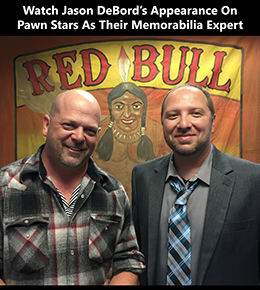 So location (of your hotel) is critical in saving time and making the whole thing viable. As mentioned, I stayed at the Loews Coronado Bay Resort, which is nowhere near Ferry Landing Marketplace, and it’s not super convenient getting there by car. 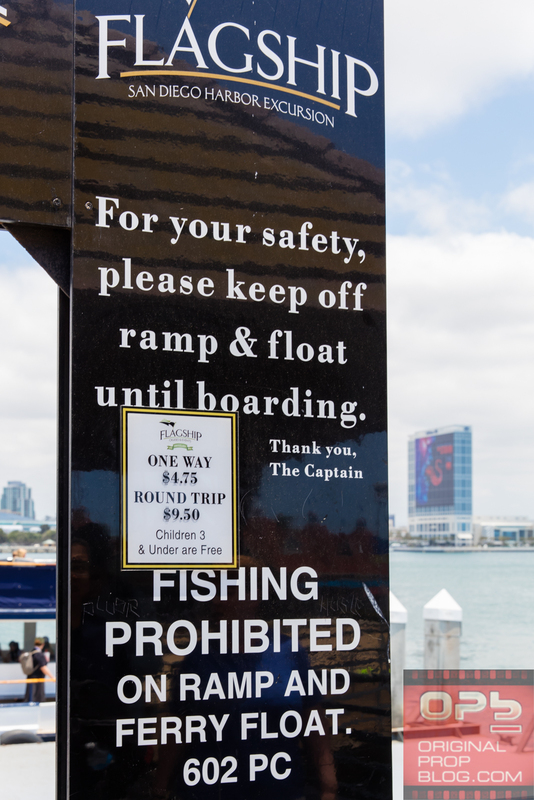 Additionally, to drive from Loews to Ferry Landing Marketplace, you then have to pay to park all day, which can run upwards of $30 per day (in addition to paying to park at your own hotel). So adding the 10-15 minute drive time to then time to park and walk to where the ferry is does not represent a good use of time. 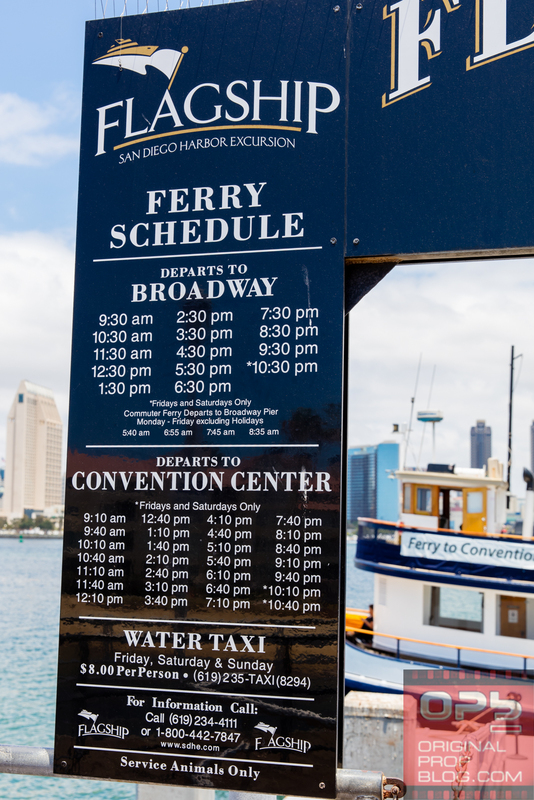 I was told at Loews that the Coronado Island Marriott Resort & Spa actually have their own ferry, in addition to being located near (i.e. 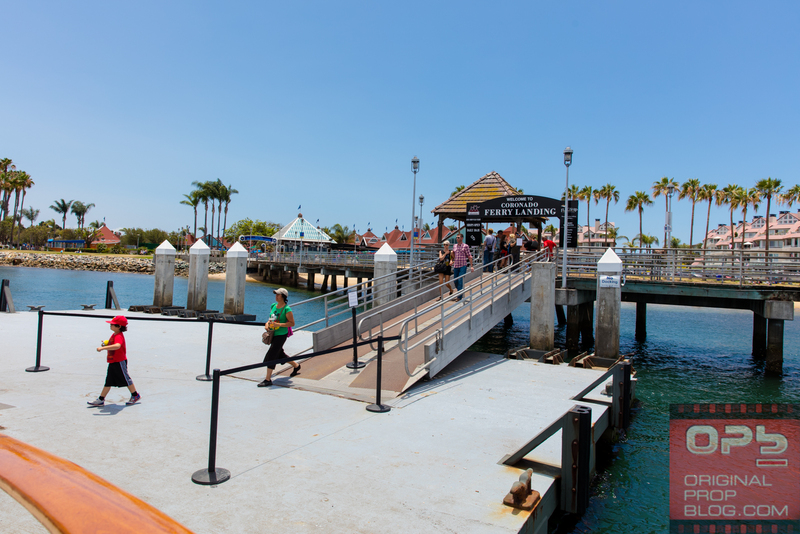 walking distance) the Ferry Landing Marketplace with it’s own ferry service. The Marriott ferry goes to their sister property the Marriott Marquis, which is adjacent to the convention center. So the first day, I parked at the Marriott and then found out that there outgoing (to the Convention Center) ferry only runs until 11am, and then only has return service from the convention to the hotel. So I left my car there (again, paid parking) and walked to Ferry Landing Marketplace (about five minutes). 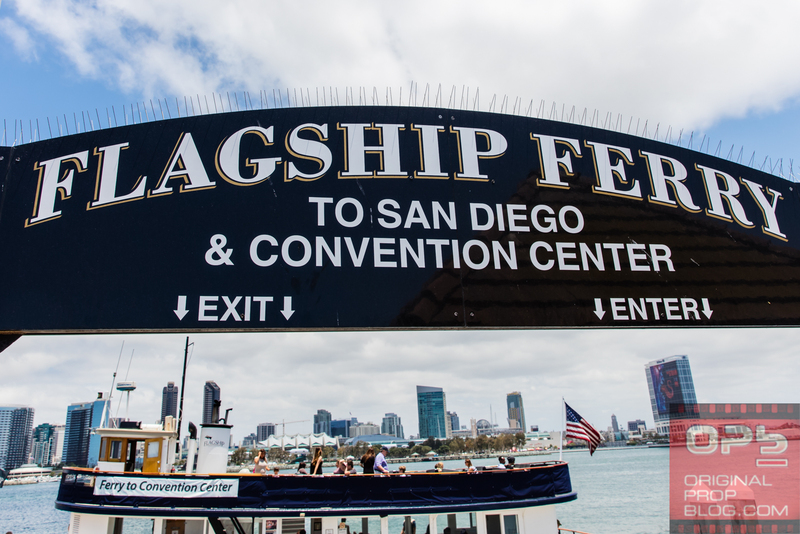 The official ferry is operated by Flagship Cruises and Events, and that ferry had outgoing (Ferry Landing Marketplace to San Diego Convention Center) service twice per hour, and return service twice per hour. So the most you will wait for a ferry is half an hour, which is no big deal. It costs $4.75 each way, and only takes about five minutes (fifteen when you factor in loading and unloading). 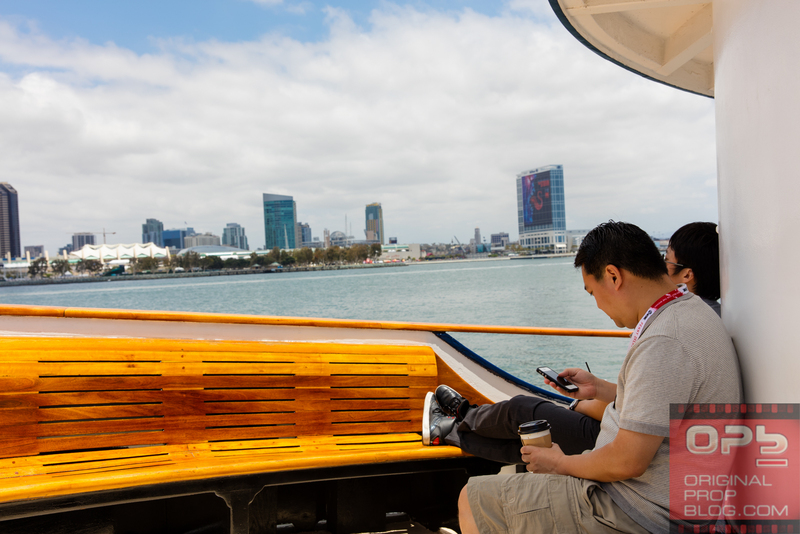 I found it much faster and much, much more enjoyable than the official Comic-Con shuttle service. 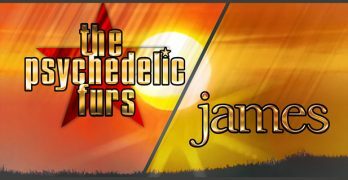 The ride itself is so much fun, the brevity of it is actually a tease. One of the times coming back from the convention center, lined up waiting for the ferry, I heard a local exclaim that she’d never seen so many people lined up! Even so, we all fit onboard with ease, so it does not seem to get into a situation in which you have to wait twice due to congestion. 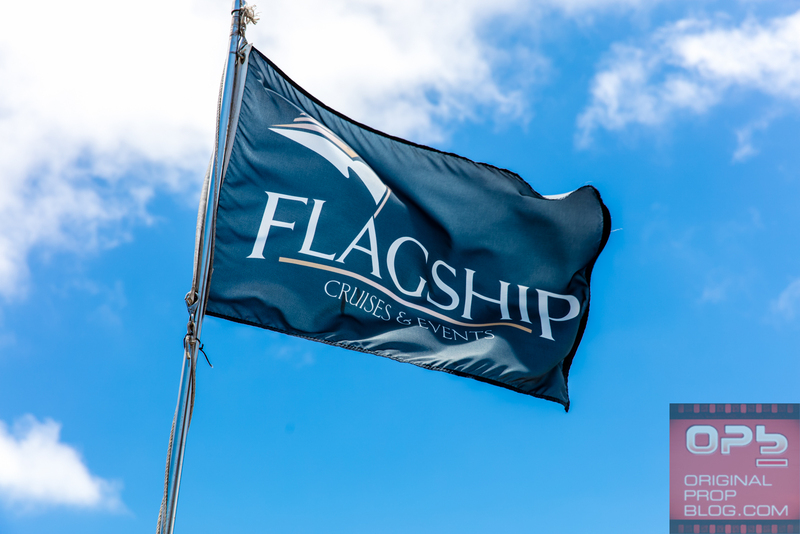 While the grounds and amenities were awesome, the staff kind of ruined the experience, and the distance to Ferry Landing Marketplace is prohibitive. I have not yet stayed at the Coronado Island Marriott Resort & Spa, but that is where I intend to stay next year. 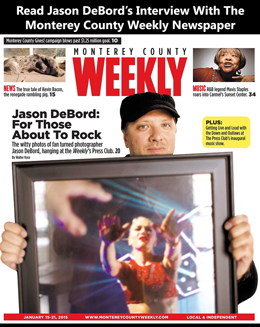 I did walk the lobby and grounds. They don’t have the same number of amenities as Loews, but as with real estate: location, location, location. 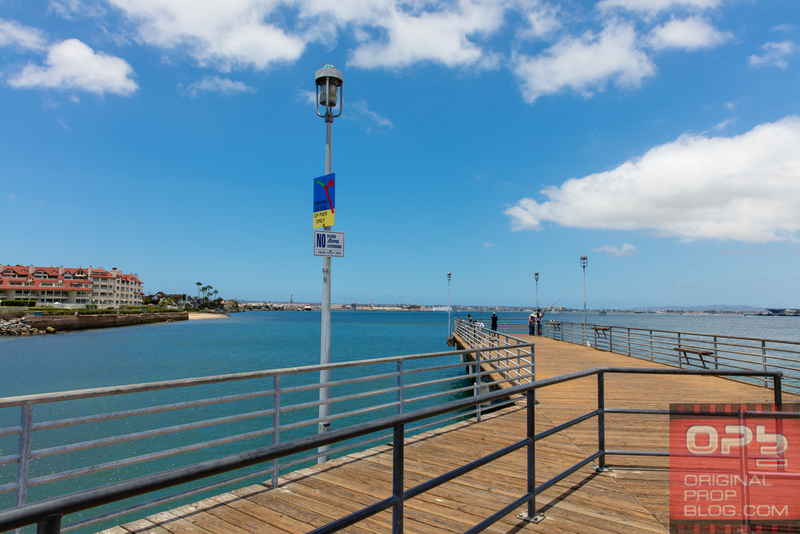 In addition to their own limited ferry service, it is a short five minute walk to Ferry Landing Marketplace, so you don’t need to drive and repark (and really you don’t need a car at all). 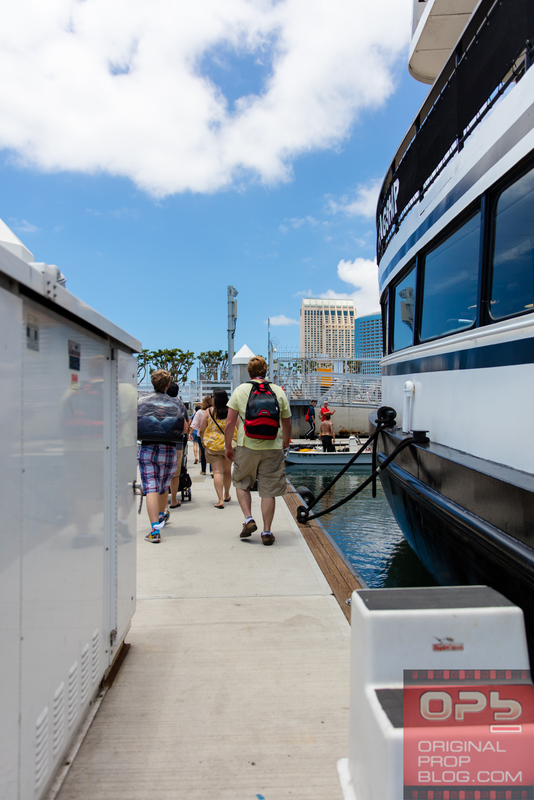 More, since it’s a short walk, you can better time things with the ferry schedule to make the most efficient use of your time. 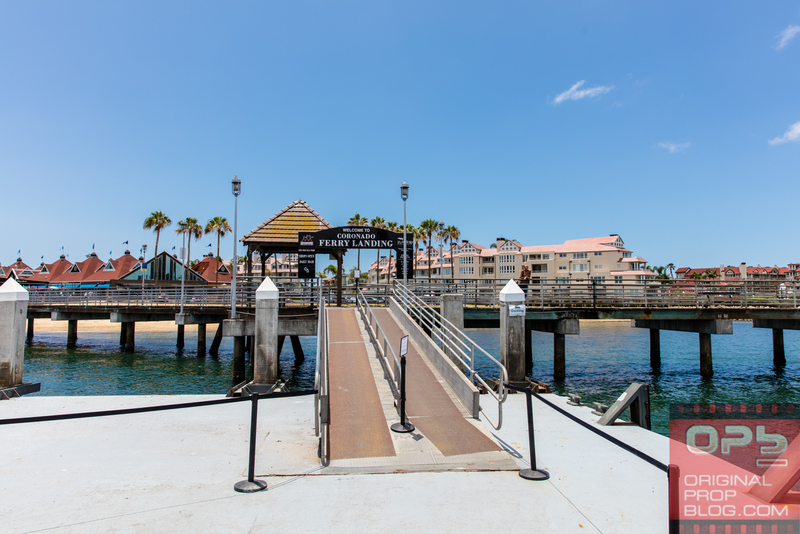 Also, there are a number of restaurants and shops at Ferry Landing Marketplace, so another bonus (at Loews, you are captive to the onsite options which are expensive – there are no walking distance alternatives). I’ve only stayed at Coronado this one time, while I’ve stayed in Downtown San Diego for Comic Con for decades, so I have much more experience with the latter than the former. For me, I think the Marriott on Coronado would actually be more convenient than the hotels and resorts on the other side of the train tracks from the San Diego Convention Center. In other words, the Marriott Marquis and Bayfront Hilton that serve as bookends to the convention center are super convenient. Apart from that, any other hotel option has it’s challenges. Even the Hard Rock across the street, you still have to swim through a bottleneck crowd of people across the tracks and the street in front of the Convention Center.